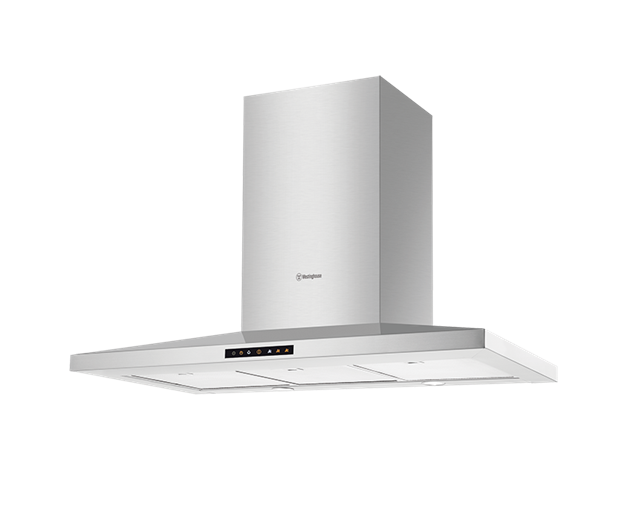 90cm Stainless steel pyramid canopy hood is rated 4.4 out of 5 by 9. 898W x 500D x 600H(mm) ? Enjoy cooking and conversation with a quieter motor delivering extraction without high noise levels. Rated 5 out of 5 by William from Product works great with not a lot of noise. there are 3 fan speeds and the unit can push a lot of air. The LED lighting is great to see what your doing. Rated 3 out of 5 by Muzza from Dissappointed 1. 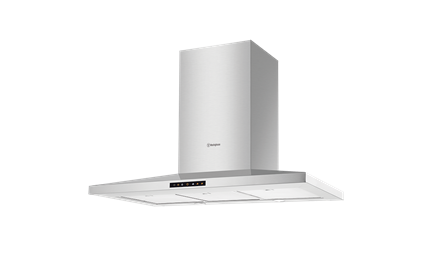 The rangehood does not come with a back draft valve/flap, even though the exhaust transition duct has mouldings to accommodate one. It seems no 150mm valve is available so a third party item is required. 2. The mounting of the flue covers is not simple and required local modification to suite. Rated 4 out of 5 by rdmarcoola from Very happy with new rangehood This has just been installed and we are very pleased with the fans and light as will as the design.We have used this as part of an upgrade to an existing kitchen and found the price and delivery service were very good. Rated 3 out of 5 by Sarah765 from Noisy on all but lowest setting On reflection I should have chosen a much quieter rangehood as we have an open plan kitchen/lounge area. Works very efficiently and the removable filters are very easy to remove and replace for cleaning. Rated 5 out of 5 by Frewy from Rangehood with grunt I bought this to replace a Fisher & Paykel that had died. I am really happy with this Westinghouse Rangehood & only half the price of my old one to replace. Looks great too & does the job just as well. Rated 5 out of 5 by Rastas from Great value Good product for the money. Looks very classy. Very powerful suction.